So What Is GAMO Protocol? In 2018, the many initial coin offerings (ICOs) ― ICO is a way to raise funds using blockchain and investors receive digital tokens that can be sold on an exchange ― available in the market presented an enticing opportunity for investors to fund start-ups powered by blockchain technology. However, as the number of offerings quadrupled within the space of a year, investors found themselves having to ascertain the credibility of these ICOs. There are many examples of founders running away with ICO funds, project progress not being aligned with its pre-ICO promises or fraudsters who take advantage of the hype over these offerings to make easy money. However, Gamo Protocol software is making heads turn in the global crypto community by protecting the interest of investors like never before. Finding out the background of the ICO issuers is one of the most important steps for investors, so this Blockchain-based platform that powered by the creation of Decentralized Autonomous Initial Coin Offering (DAICO) will keep the investors safe by creating a secured environment which DAICO’s can build. The environment includes coding protocol, test net, best practice framework and enforcement protocol that are updated, audited and accountable. With DAICO in place, the trust is not placed completely on a centralized party but rather distributed among contributors using a democratic voting system. This allows funds to be released according to the voting and developers kept in check to deliver their promised milestones. In this way, investors have more control over the projects. Additionally, DAICO is the combination of DAO and ICO, which incorporates the contribution and governance mode into the smart contract with two important modes, the contribution mode and the tap mode. As with any new concept, there are challenges in the actual implementation of DAICO which GAMO aims to solve. The most obvious problem of DAICO is lack of standardized framework because it still at the stage of an abstract idea and has very few success cases. That where GAMO aims to provide both the environment and framework to make DAICO more easily achievable. The other significant problem of DAICO is voter’s issue. DAICO relies heavily on the decision made by voters but in actual implementation, there can be a number of loopholes. In other words, the Gamo Protocol platform such as the GAMO Framework provides recommended guidelines and solutions to these problems, and GAMO Tech will speed up the smart contract writing process. Meanwhile, the GAMO Testnet provide an alternative blockchain for developers to test their applications before going live, and GAMO Wallet will enhance the security besides swapping all tokens on Gamo Protocol. In order to support creation of DAICO, GAMO offers various contracts i.e. crowdsale contract, fund contract, token contract, reservation fund contract and utility contract. Contract traditionally drafted by lawyers and coding done by coders. This makes smart contract writing a complicated process because of legal, subject matter, coding knowledge and the collaboration between the team would be very difficult. Gamotech provides an assisted view for non-coders to be able to draft contracts, using key words from traditional contracts and auto translating them to mechanism in the smart contracts. For those who interested in getting GAMO tokens, pre-sale of Gamo Token will start on 20 October 2018 to 9 November 2018 at a discount rate of 10%. Gamo token sale will be conducted via smart contract and audited to ensure the security of the ICO process. The public ICO of Gamo Token will begin on 12 November 2018 and end on 3 December 2018. 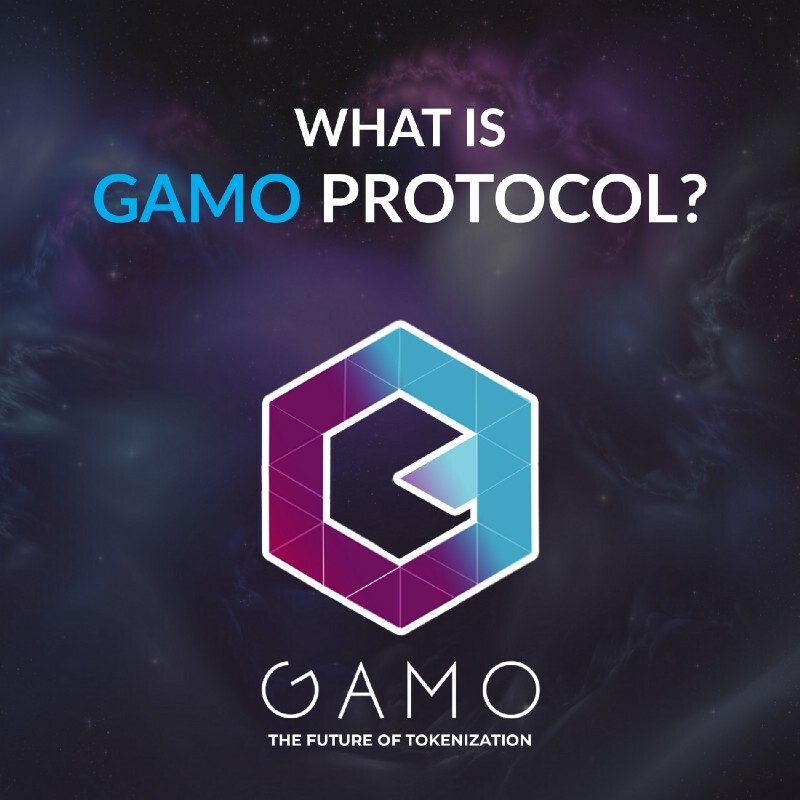 The best way to know more about GAMO Protocol is to read its white paper on www.gamo.io. It provides all information on the company’s goals and the timeline to achieve; as well as a description of the product and how the technology works.